The supporters apparently created a ruckus in the entire district, where the hotel was located. Dutch giants Ajax take on defending champions Real Madrid in a crunch UEFA Champions League RO16 first leg encounter, at home in the Amsterdam ArenA, on 14th February 2019. In what could be a highly-competitive affair, Ajax fans have already spiced things up, before kick-off. Four Ajax fans have reportedly been arrested over creating a ruckus outside Real Madrid's team hotel. According to AS, a group of Ajax ultras burst firecrackers last night in the De Pijp district in Netherlands. The fans allegedly covered the entire district without being aware that Madrid were in Hotel Okura, in the area. It was the Hotel staff who contacted the police. After sometime, the supporters were rounded up or chased away by Real Madrid's own security team and the police. It is also being reported that four ultras have been arrested. Both the sides meet each other for the first time since December 2012, when the Bernabeu outfit beat the Dutch side 4-1 in the group stage, with Cristiano Ronaldo and Kaka being amongst the goals. In the reverse clash too, Madrid crushed them 4-1, with a Ronaldo hattrick. This time around, both the sides are different than how they were in 2012. Real Madrid have finally caught up with LaLiga rivals Barcelona after a poor start in Spain's top-tier. While Ajax started off good, but have slowly become erratic, in second place, behind PSV Eindhoven in the Eredivisie. The Los Blancos are also without Cristiano Ronaldo. 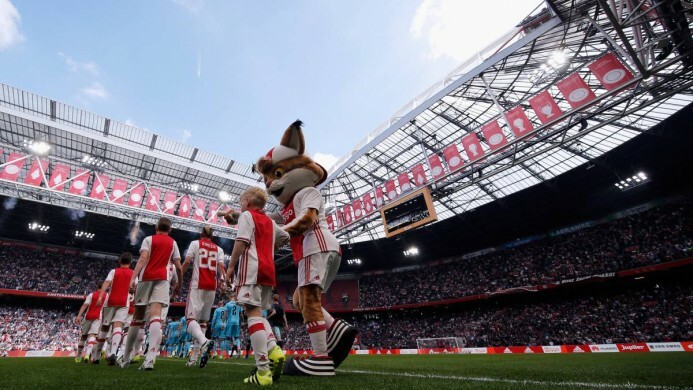 Ajax have a youthful side consisting of the likes of Matthijs de Ligt and Frenkie de Jong.